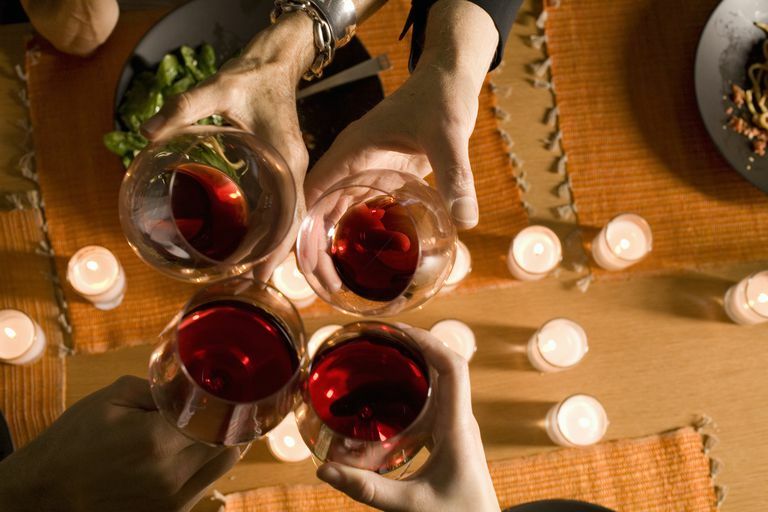 What Can You Drink on the Atkins Diet? When starting the Atkins diet, what you can and cannot drink can get confusing. You need to be careful during the Induction Phase of the program that you consume only Atkins-approved foods and drinks so that you see the results. To help you do just that, we break down what drinks fit the Atkins diet plan. The Induction Phase of the Atkins Diet is the most strict part of the plan. When you start the program, there is a list of foods and beverages that you'll have to avoid for a few weeks. So you may wonder what you can have during this part of the diet. Here is a brief look at some of the beverages you can drink during Induction on the Atkins Diet. Water is an essential drink during the entire diet. It is important to drink enough water while following any low-carb diet. Dr. Atkins advises those on the Induction Phase to consume eight 8-ounce glasses of water per day in the form of tap water, spring water, mineral water, and filtered water. Drinks with caffeine aren't allowed for some Atkins dieters because Dr. Atkins suggests it may affect blood sugar or appetite in some people. If you experience cravings or symptoms of hypoglycemia after consuming beverages with caffeine, you should eliminate them, according to Atkins. In addition, you may need to avoid diet sodas as certain artificial sweeteners are off-limits during the Induction Phase. According to Atkins, artificial sweeteners may slow down the weight loss process or halt results altogether. The website cautions dieters to simply pay attention to artificial sweeteners throughout the entire Atkins diet and avoid them if weight loss stalls or stops. Acceptable sweeteners include sucralose, saccharine, or stevia. According to Atkins, one packet equals one gram of net carbs. Alcohol is not allowed during Induction Phase of the Atkins diet. Atkins warn that consuming alcoholic drinks like beer, wine or cocktails might slow down your rate of weight loss. When the Induction is over, you can start to enjoy a small amount of alcohol, but do so with caution. Starting in Phase 2, you can have a glass of wine occasionally as long as you count the carbs in your daily total. But keep in mind that a serving of alcohol is just five ounces. That means you have to watch portion sizes (instead of just going for an entire glass). The Atkins website mentions that spirits like gin, vodka rye and scotch are also acceptable once you are in Phase 2. They do recommend, however, that you are careful about how you mix the liquor. Popular mixers like tonic water and fruit juice are high in carbohydrates. But seltzer, diet tonic, and diet soda are permitted. Beginning in Phase 2, tomato juice (four ounces), lemon juice (two tablespoons) and lime juice (two tablespoons) are also acceptable. If you want to lose weight faster you may want to avoid alcohol entirely while following Atkins or any diet plan. According to the Atkins website, "The body burns alcohol for fuel when alcohol is available. So when it is burning alcohol, your body will not burn fat. This does not stop weight loss; it simply postpones it." Sticking to the Atkins diet requires a strong commitment to a very specific eat and drinking style. It's not just what you eat that matters, but what you drink makes a big difference as well. Bottom line: Go alcohol-free when you can, and pay attention to the other drinks you choose too. Atkins, Robert C., MD. Dr. Atkins' New Diet Revolution. New York: Avon Health, 2002.